Witnesses said four men in a truck waved pro-Palestinian flags and attacked the pro-Israel demonstrators with sticks. KCAL9′s Kristine Lazar reports investigators say a woman was injured during the alleged assault. A Homeland Security Officer who witnessed the assault “intervened and an officer-involved (non-hit) shooting occurred,” the Los Angeles County Sheriff’s Department said. The officer has been placed on leave and his weapon seized as evidence while the use-of-force allegation is being investigated. No injuries were reported in the shooting incident. 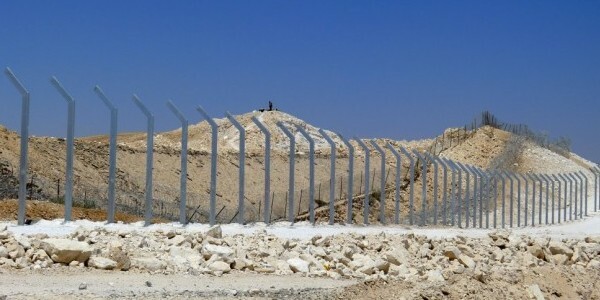 Israeli Consul General David Siegel said the standoff is reflective of the current barrage of rocket attacks launched by Islamist terror group Hamas against Israeli citizens. “All of this is part of a much larger and very dangerous confrontation right now, where Israel faces a brutal terror organization that has fired over 1,000 rockets in the last week,” Siegel said. The LAPD arrested Mostadafa Hafez, 19, Hassan Kreidieh, 41, Mohammed Elkhatib, 35, and 38-year-old Fadi Obeidallah for assault with a deadly weapon. All but one suspect were free on $30,000 as of Monday morning. The shooting remains under investigation and the officer was placed on paid administrative leave. This is not Iraq, or Syria. You cannot attack people rallying peacefully with weapons. If they are immigrants they should be deported for this crime. Illegal Immigrants Allowed to Fly Commercially Without ID? The Department of Homeland Security is reportedly allowing undocumented immigrants to board commercial planes with only a “Notice to Appear” document. The paperwork is printed on computer paper and can easily be reproduced. Illegal immigrants are being “released on their own recognizance” and later “allowed to board and travel commercial airliners by simply showing their Notice to Appear forms,” a National Border Patrol Council spokesman reportedly told Breitbart Texas’ Brandon Darby. Hector Garza, identified as NBPC’s Local 2455 spokesman, expressed serious concern that illegal immigrants are only required to show “paperwork that could easily be reproduced or manipulated on any home computer” in order to board planes used by the American public for domestic travel. Fox News contributor Bo Dietl reacted to the news on Fox and Friends this morning. He explained that illegal immigrants are allowed to board planes without so much as a photo ID. Dietl said ICE and the TSA should go on strike to protest the policy. Studio audience debates America’s approach to diplomacy. “JEWS, GET BACK IN THE OVENS!” from TheUnitedWest on Vimeo. Operation Protective Edge: On today’s show, Jew-haters assemble all around the world to preach their “religion of love,” and sing, “from the river to the sea,” as a marching song to destroy Israel. We look back at past Jew-hatred and hear loving chants like, “Jews go back in the ovens.” Barry Shaw runs into a bomb shelter in Netanya. Dr. Martin Sherman explains why the Israeli military policy is illogical and irresponsible. Tom Trento has some words of advice for Prime Minister Netanyahu. I’m in Paris. I’ve seen these videos where they shout “Death to the Jews” in the streets of Paris. But the truth is that with a video, we are still not that aware of this reality. So when I, completely by chance, ended up at Republic Square in the middle of the afternoon, and I saw this pro-Palestinian rally, …. But I wanted to see it more closely. I do not have the peace of mind enough to write about it as it happened. It’s too hot. New intelligence reports indicate that Yemeni bomb-makers are joining terrorists in Syria to build new types of virtually undetectable bombs, says Attorney General Eric Holder. The Yemen-based bomb-builders, including Saudi native Ibrahim Hassan al-Asiri, were behind the underwear-bomb plot in 2009 and have traveled to Syria to meet with members of the Islamic State (ISIS), the group that has declared a caliphate in parts of Syria and Iraq. “It’s something that gives us really extreme, extreme concern,” Holder said in the pre-recorded interview in London, where he was attending meetings with European officials on security. The Transportation Security Administration announced last Sunday that certain overseas airports would begin requiring passengers on some U.S.-bound flights to turn on cell phones and other electronic devices before they would be allowed onboard. Holder indicated that rule was based on the information received about the Yemini bomb-makers and the Islamic State. About 7,000 people with American or European passports have joined the fighting on behalf of the Islamic State, and officials fear they may attempt to return and carry out acts of terrorism in the West. We have been seeing an increase in violence against pro-Israel demos across Europe. Violent Muslims and their leftwing lapdogs have been physically attacking peaceful pro-Israel vigils across Europe and beyond. Today San Francisco police allowed the Muslims to attack the Jews at the demonstration. Sf Police were told to keep the two groups separated but did not. I had to call 911 to get more police there and stop them from allowing the Muslims from attack the Jews. And to move the Muslims back to the other side of the street. Police were informed that they had to keep both groups separate the night before. There were no barriers there at the beginning they only arrived after I called. An officer also said he called about the same time. Before that many of us were pushed and shoved by the Muslims. One person was kicked and hit….. When she called the police department last night to complain and to possible file charges against them, one police officer responded to her by saying, “How can I see the difference between the Arabs and the Jews”. One law enforcement can’t distinguish between the savages and the civilized men, society is finished. The protesters chanted, “from the river to the sea, Palestine will be free,” which calls for the complete destruction of the Jewish State. They also called for another intifada, which means they wish to see massive terrorist attacks perpetrated against innocent Israeli civilians. I have no doubt these lunatics would have assaulted us if it wasn’t for the large police presence and barricades that were eventually placed between us. There is no compromise with people like this. The young woman leading the demonstration led the crowd in screaming, “Free, free Palestine,” “Long live Palestine,” and “Long live the intifada,” referring to the prior waves of Arab violence that occurred in 1987-1990 and 2000-2005. The 1987 intifada was supposedly triggered by a car accident in Gaza in which four Palestinian laborers were killed in a collision with an Israeli truck. In the Palestinian community, rumors started that the deaths were intentional and in revenge for the stabbing of Shlomo Sakal two days earlier in Gaza’s central market. The second intifada was supposedly triggered by opposition leader Ariel Sharon’s visit to the Temple Mount, where the ancient Jewish Temple stood, and soon turned into a series of horrific suicide bombings against Israel. There has been evidence released since then that Yasser Arafat had planned the third intifada before Sharon’s visit, however. BEIRUT, Lebanon – Concern is mounting that increased aid the Obama administration has promised so-called “moderate” Syrian rebel forces, who largely have been taken over by Muslim militant fighters, not only could go to the extreme al-Qaida-authorized Jabhat al-Nusra but also the renegade al-Qaida group, the Islamic State of Iraq and the Sham (Syria), which is wreaking havoc in Iraq, informed sources here tell WND. The assistance given to date hasn’t done much for “moderates” on the battlefield in Syria, who have been outnumbered by the al-Qaida-linked groups. In addition, increasing numbers of European jihadists have gone to Syria to join al-Nusra and ISIS, which here is also known as DAASH – Dulat-al-Islamfi al-Iraq wal-Sham. According to regional experts, ISIS is heavily financed by Saudi money. One source said that the Saudis recently allocated some $300 million from oil funds to reconstruct the civil infrastructure of the Syrian city of Aleppo, using ISIS as the prime contractor. In addition to more than 2,000 Europeans, Central Europeans and North Africans, there are an increasing number of Americans who are joining the two groups in Syria, where training camps have been set up for them. “The U.S.’s weak attempts to vet, arm and train purportedly moderate fighting groups have merely fueled an ongoing conflict that shows no signs of abating and is producing a new generation of well-connected foreign fighters who leave the Syrian killing fields to extend the Islamist fight into new battle zones,” according to regional analyst Lisa Lundquist of Long War Journal. “The result of the continued stalemate between the Assad regime and the rebels is the spawning of a new breed of jihadist cells carrying out a widening array of terrorist activity outside Syria,” she said. Long War Journal, for example, reports some of the Americans are leaving al-Nusra to join up with ISIS, which is considered to be the more brutal and ruthless of the two in terms of head chopping and imposing strict Islamic law on residents. It has identified one such American as Abu Muhammad al-Amriki, who is seen in the photo raising his right index finger. The purported American, whose real name is unknown, was identified on a Twitter page of a local ISIS commander, known as Abu Abdurahman al-Iraqi. 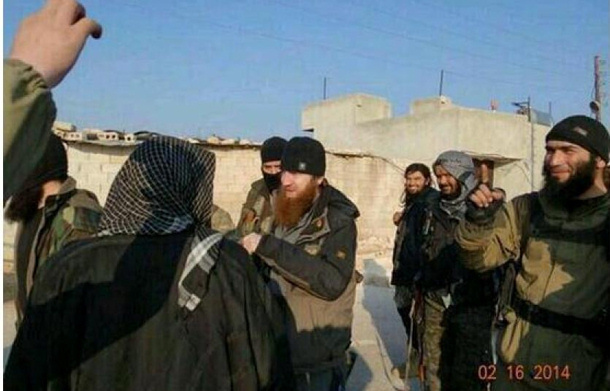 ISIS has been operating in the region of the Syrian province of Aleppo, where the photo was taken. ISIS, the renegade al-Qaida splinter group led by Abu Bakr al-Baghdadi, also known as Abu Dua, has just swept into western Iraq, capturing Iraq’s second largest city, Mosul, and Tikrit, where the ousted Iraqi President Saddam Hussein was born. The Sunni ISIS fighters are targeting all government troops and Shia and Christian civilians, and its fighters have attacked Samarra and taken over Iraq’s largest university at Ramadi, capturing some 17,000 students. While Samarra is mostly Sunni, it contains the golden-domed al-Askari shrine, which is considered to be sacred to the Shia. Its destruction in 2006 by al-Qaida fighters resulted in pitched battles between Shia and Sunni. Observers say that if it is destroyed again, a similar massacre between Shia and Sunnis could recur. All of this is happening just three years after the United States left Iraq, with ISIS now firmly planted in various cities such as Fallujah, where U.S. Marines in 2004 fought pitched battles with al-Qaida Iraqi insurgents. Earlier this year, ISIS broke from al-Qaida central in Pakistan after al-Baghdadi rejected demands from al-Qaida leader Ayman al-Zawahiri not to incorporate al-Nusra into ISIS. The rejection prompted Zawahiri to openly repudiate ISIS as being an al-Qaida affiliate. Originally known as the Islamic State of Iraq, ISIS in a year and a half has created, in effect, an Islamic caliphate that stretches from eastern Syria and into the Sunni western provinces of Iraq. It is a feat that al-Qaida central has never been able to accomplish since its formal creation in 1998. In effect, the new Islamic state ISIS governs is a nation-size tract of land stretching from the eastern edge of Aleppo to Fallujah in western Iraq and now further north to the city of Mosul. Within that caliphate, ISIS not only has set up social and medical services for loyal Sunnis but has brought the stretch of land under strict Islamic law, prompting some 500,000 Iraqis to flee the area with their families in recent days. As a brutal entity, ISIS enforces the areas it controls with beheadings and amputations, which is causing increasing resentment, even among the Sunni residents. In addition to battling with al-Nusra, ISIS appears less intent on overthrowing the government of Syrian President Bashar al-Assad, who was just re-elected to a new seven-year term. Instead, it appears to be more focused on establishing the Islamic caliphate. In its latest attack on Mosul, ISIS not only seized military equipment, including helicopters from military and police bases it overran, but took possession of almost $500 million from Mosul’s banks. The seizure of cash makes it the richest Islamic militant group by far, including the money it raises from selling oil from the reserves it has overrun. Given ISIS’ blitzkrieg-like seizure of vast amounts of real estate in a relatively short time, the concern now is that its fighters could spread into Jordan and Turkey. 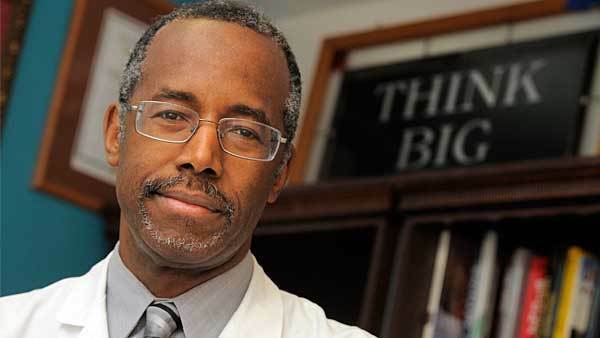 Dr. Ben Carson is sounding and acting a lot these days like a man primed for a run at the presidency. But when WND founder Joseph Farah asked the former brain surgeon point blank about his personal future, Carson said he would wait until after the November mid-term elections to make that decision. Despite his reticence on that issue, he did not avoid even the stickiest foreign policy questions about Iraq, Benghazi and the possibility of terrorists entering the wide-open southern border. He said the 2012 terror attack on the U.S. consulate in Benghazi, Libya, displayed a “complete lack of understanding of security,” on the part of the administration of President Barack Obama. But the worst part about Benghazi, he said, was the message the administration sent to future military commanders on the ground. “The Navy SEALs that rushed over there, tried to save lives – and they did save lives – they were up on top of that compound with their machine guns. What would they have thought if they knew our leaders were saying ‘nah, that’s too dangerous, it’s OK, never mind’?” Carson asked. Carson was no less critical of Obama’s response to the situation in Iraq, where the terrorist group Islamic State of Iraq and al-Sham, or ISIS, has been allowed to gobble up huge swaths of territory and threaten the borders of Jordan. Get Carson’s “One Nation: What We Need to Do to Save America’s Future” or his “America the Beautiful: Rediscovering What Made This Nation Great” at a special price today only! Carson accused the Obama administration of “blowing the peace” that had been established in Iraq and advocated a more proactive foreign policy in the Middle East. He said the U.S. government had intelligence several months ago that could have wiped out ISIS but failed to act on that intelligence. Carson said he’s hoping the damage doesn’t turn out to be irreversible. “I’m just hoping that things can last long enough that we get people who actually understand world history, understand world events, understand how to use our tremendous innovation, understand how we need to bring our factions in this country together to use our collective intellect, because we have serious problems going on out there,” he said. He said America’s vast natural resources should be developed to maximum potential, which is also key to a smart foreign policy. “We are rich with natural resources in this country and we should be using the EPA not to suppress the development of those, but to work with academia and industry, to find the safest and cleanest, most effect ways to use those, while we’re still preserving our environment,” he said. Carson said the porous southern border has become a political issue when it should be a matter of national security. “This is a problem. It’s a huge problem. And we’ve allowed it to become a political football, instead of solving it. Could we seal the border? Of course. We have all kinds of technology, including drones,” he said. Carson said there is “no question” that some foreign workers are needed in America to do jobs that Americans don’t want to do, such as in agriculture. Carson said he would also “remove all the inducements” to illegal immigration, such as free health care and free education. Carson said Sgt. Bowe Bergdahl’s release in exchange for five top Taliban commanders needs to be looked at from two distinct perspectives. Carson played coy on whether he was planning to launch a campaign for president or any other elected office, saying he had imagined other, less stressful things for his retirement. He was going to learn to play the organ, learn to speak new languages and improve his golf game. He said a lot depends on what happens in November. He’ll be watching closely to try to pick up clues to what American voters are thinking. And if he does jump into the public realm, it comes with a caveat. (Fox News) – Sean Hannity squared off tonight with Saba Ahmed, the Muslim women whose question at a Heritage Foundation panel this week set off a huge media firestorm (and let to accusations of Islamophobia among the panelists), over radical Islam and the treatment of women in countries that practice Sharia law. Hannity repeatedly and unsuccessfully pressed Ahmed to specifically condemn these horrible laws that oppress women and gay people with horrifying punishment. Brigitte Gabriel, one of the panelists at the Heritage event, was on Hannity too and accused Ahmed of distracting the panel with an irrelevant question. Ahmed talked about herself and how no one’s forcing her to wear her head scarf, but Hannity confronted her about women elsewhere being forced to do so.